These are the two cars of my friend. He is not a rich man but a savvy shopper and mechanically able. 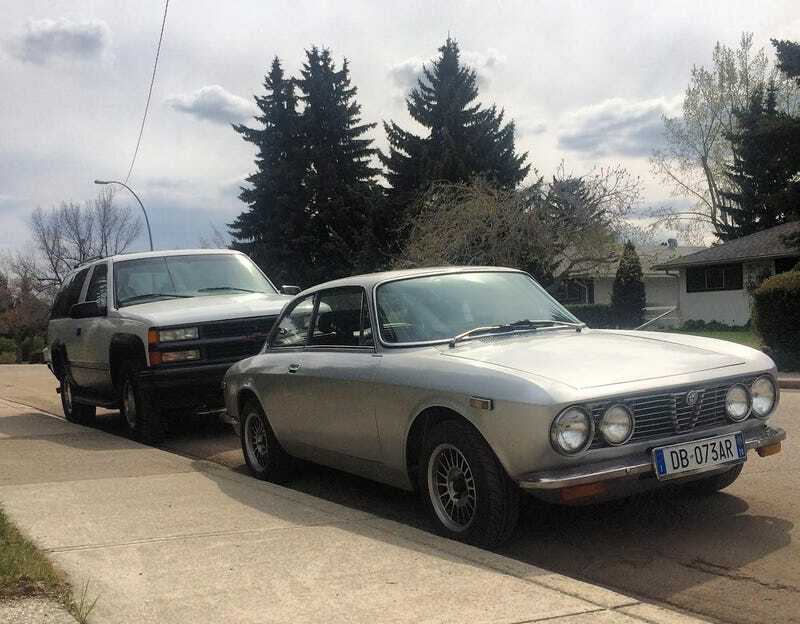 The GTV was the car he drove to high-school prom and the Chevy Tahoe is the winter vehicle. Old cars rule.